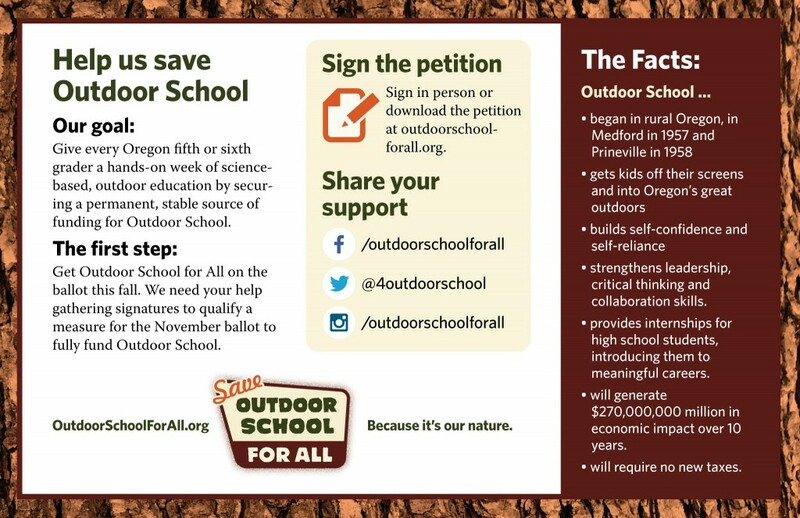 UPDATE 11.08.16: The Outdoor School for All initiative passes overwhelmingly! 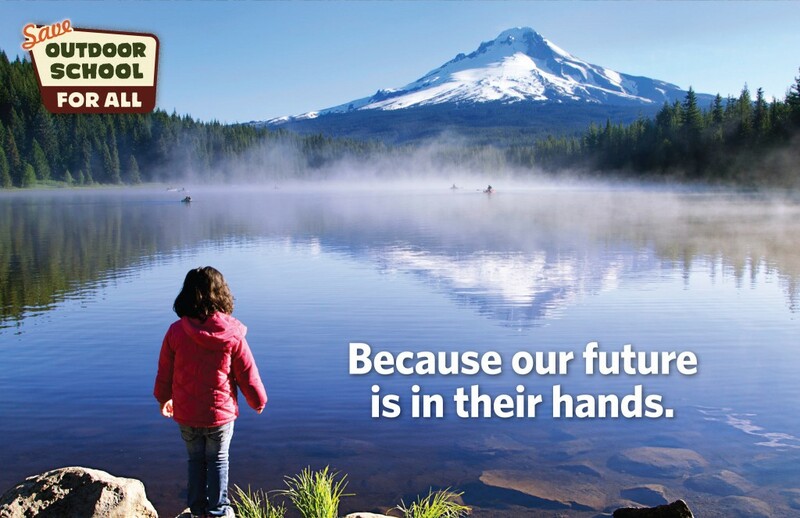 Congratulations to the team that made Oregon the first state to fund outdoor education for every fifth- and sixth-grader! I’m proud my creative played a role. Since its first band of Medford sixth graders in 1957, Outdoor School’s mission has been simple: get our next generation of leaders off the couch and out into Oregon’s great outdoors. It’s a uniquely Oregon tradition, and one that reflects the heart and soul of what it means to live here. The problem is that because of increasingly tight school budgets, currently only about half of Oregon’s students get to experience Outdoor School. 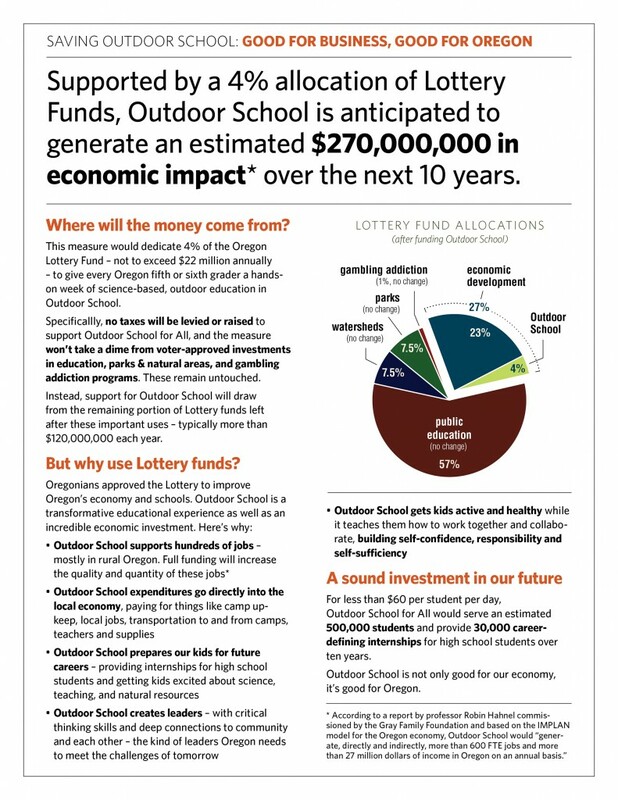 The Outdoor School for All ballot measure is designed to change all that: Give every Oregon fifth or sixth grader a hands-on week of science-based, outdoor education by securing a permanent, stable source of funding for Outdoor School. The braintrust behind this worthy initiative asked me to help articulate exactly why it’s in every Oregonian’s interest to bring this to life. From a creative brief I developed pinpointing the advantages and opportunities of Outdoor School, I created branding, an introductory pitch brochure, and a leave-behind addressing funding head-on. I’m especially proud to have helped with this one. 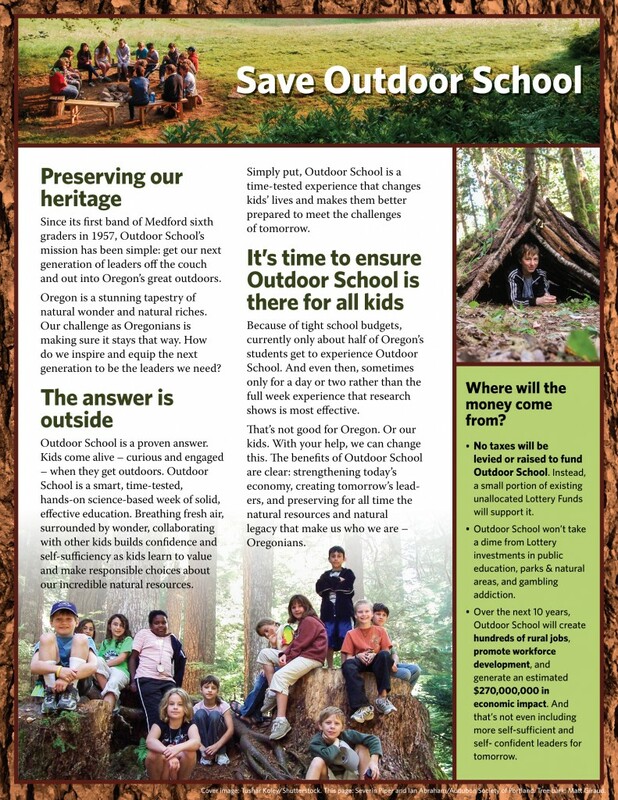 Outdoor School is an inspired, time-tested, hands-on science-based week of solid, effective education for every Oregon kid, no matter where they live or what their economic circumstances are. And breathing fresh air, surrounded by wonder, collaborating with other kids builds confidence and self-sufficiency as kids learn to value and make responsible choices about our incredible natural resources. I hope you’ll support it, too.